You’ve got the keys. 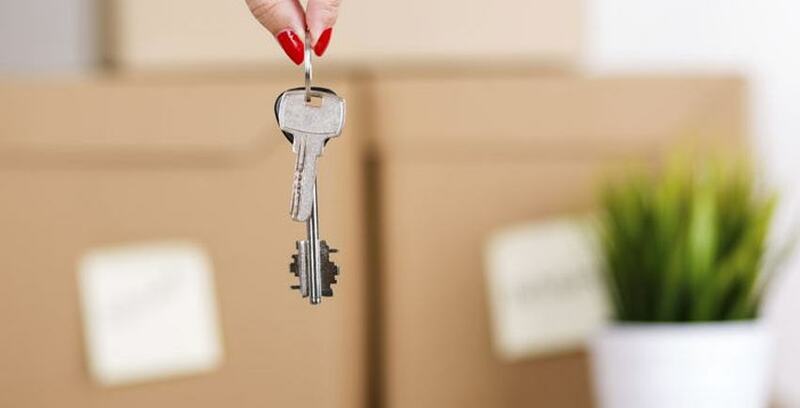 Now all you need to do is transfer your life’s belongings to your new location, place all your trust in the people helping you, and make sure everything runs smoothly and on time. Ok, let’s face it: moving day is a hassle. If you’re lucky, you might dodge some of the infamous moving day mishaps, but understanding these 6 common moving day mistakes will help you make a smooth transition to your new place. “Winging it” is never a good idea when it comes to moving. Research the busy times for moving in your area to determine when you should plan to hire movers. The weather is also going to have an impact on the logistics. Are your utilities going to be switched? Did you remember to change your address? Be sure to give proper notice if it’s required, and set aside a significant chunk of time to clean your current space if you’re ending a lease. Don’t be sorting through your junk drawer when the movers ring the doorbell or your friends arrive to load up your things. When there’s work to be done — there’s not always tomorrow. It’s not the least bit out of the ordinary to be planning a move months in advance and packing things away in boxes. Find a moving company or have a schedule if you’re moving by yourself or with family and friends. Have everything ready to go before the day of the move. You’ll be less stressed when everything is organized. Hiring movers based on price is a bad idea. It’s an even worse idea when your kitchen appliances are suddenly just spare parts and your picture frames are cracked. Research is key when choosing a moving company. Consult family and friends about their moving experiences and do a few reference checks on the moving companies you’re considering. It’s worth the few extra bucks if that means your stuff is safe and the experience are nearly seamless. Do you really need that old poster of your favorite band from high school? Moving is the perfect excuse to rid your home of things you don’t need. As you pack each item, ask yourself if you truly need it and the benefits it provides you with. Designate an area in your home as a zone for excess stuff that needs a keep, toss, or donate decision. Keeping absolutely everything in your home means more packing and work, too! You’ve beat the movers to your new home, or you’re checking into your hotel for the night and… Oops! All of your belongings are packed away or with the movers. To avoid wearing yesterday’s clothes when you wake up in the morning, pack an essentials bag full of a few night’s clothes, toiletries and any important documents and items you’ll need in the coming days. Your attitude makes all the difference. If you start the day stressed, the tone is set for the rest of the day. Be prepared, but also be ready to embrace any challenges and stay flexible. Consider the needs of movers or family members and do your best to keep a motivated attitude. At Storage Direct, we offer self-storage for those in-between moving stages or those who need long-term storage. Our storage options provide you with safe and secure storage from a company you can trust. Give us a call to find out more about our facilities and find a location near you.